How many people are on a photography course? We have a maximum of 12 people on our beginners / introduction courses and a maximum of 6 people on our portrait, landscape and advanced courses, so you can get the most out of our course tutors. Who will my photography course be taken by? Our course trainers are all working photographers. They all share a passion for photography and want to relay this with you. They have been hand-picked from hundreds of photographers in the UK, and we are proud to have them on the Red Cloud team. What camera do I need to bring? Our courses are for digital SLR’s (except the London Photography Tour - where bridge and compact cameras are welcome), if you are having trouble deciding which to buy please contact our team for a buying guide. Try and have a play with your camera before hand so you can come armed with questions for your tutors. The courses are held in London, Nottingham, Leeds, Manchester,Bristol, Brighton, Oxford, Cardiff, Edinburgh, Newcastle and Birmingham . A map to each venue can be found here. A formatted memory card, fully charged batteries, suitable footwear and most importantly, food or snacks! Lunch and refreshments are not provided by Red Cloud. I have booked onto a Red Cloud Photography course and need to cancel/re-arrange the date, what should I do? Contact us at Red Cloud and we will try our best to re-book you, please take a look at our terms & conditions for full cancellation policy. There is always a wide variety of participants of all ages on the course. It’s a good chance to share your photography queries and experiences. I don’t like the thought of doing a group photography course, do you offer anything else? A group course is an excellent way to learn & have fun; however it’s not for everyone. We also offer 1-to-1 tuition for those wanting something more personal and tailor made. Please contact Red Cloud to enquire about this. I have been on the beginner’s course and want to do more! We run advanced and specialised courses including landscape and portrait photography for those who want to advance to the next level. We also have video tutorials for those who need a re-cap on anything. Each course is different; please see the course description and click on the 'more info' which will detail the level of photography experience needed for each course. What is included in the price? The classroom courses include the days tuition, detailed course manual, a course gift pack & certificate of participation. How do I contact you if there is a problem at the weekend? If you're booked onto one of our courses and need to contact us out of working hours, you will have been sent the mobile number of the tutor taking your course - please contact him/her. Where can I get a photography voucher from? Red Cloud vouchers can be purchased through our website for any amount you choose. If you purchase your voucher before 5pm, your voucher code will be emailed to you immediately and posted first class the same working day. 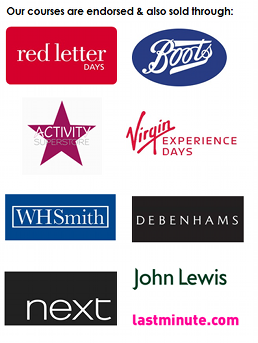 If your voucher is purchased after 5pm, it will be posted first class the next working day. How long do the vouchers last? Each voucher is valid for 18 months. I have a gift voucher but it expires soon or has expired. Please ring the voucher company, they will usually extend the voucher date for you, but this can only be done through them. If you have any trouble doing this then please contact Red Cloud. If the voucher has been purchased directly through Red Cloud, just give us a call and we can extend the voucher for you. Our courses are designed for DSLR use only; to get the most out of our courses we ask that participants have a Digital SLR. This excludes our London Photography Tour - this is the only course we allow compact cameras on as well as DSLR's. If you are unsure of your camera or the requirements, please get in touch with our team. I’ve purchased an online tutorial, how long can I access it for? Once purchased, your online tutorial is yours to view online for up to 6 months from the date of purchase. How do I view an online tutorial? 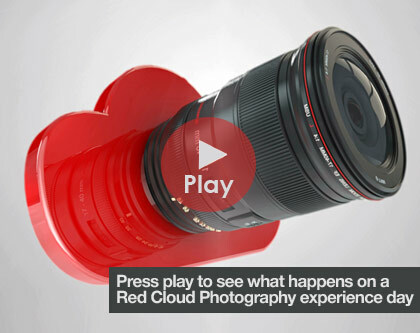 Our Video tutorials, when purchased can be viewed online, from your Red Cloud Account. I’ve purchased a tutorial but I can’t seem to get it to work? What level of photographer are the tutorials for? The first 5 online tutorials are for beginners to photography, taking you through each essential basic camera control. We will have more advanced videos launching soon – so keep an eye out! I can’t remember my username or password. It happens to the best of us! Just click on the ‘forgot my password’ button at the log in screen. I have a physical disability, can I attend? Of course! We would ask that if you require wheelchair access you inform us at the time of booking. Some of our venues are not wheelchair accessible and parking not available and so if you let us know, we will try to find an alternative course venue for you. We do operate City Photo Tours and Landscape Photography courses and wouldn’t recommend these to persons who are not capable of walking unaided for more than say, 2 miles. These tours are between 2 – 4 hours and will include a lot of moving around so would not be enjoyable for you. I have a hearing disability, can I attend?